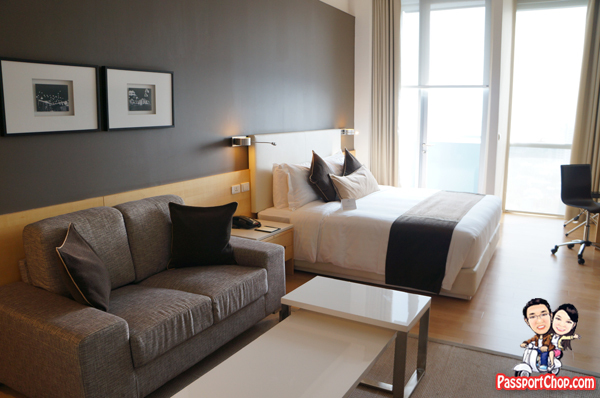 PassportChop was back in Bangkok over a long holiday weekend – this time with Ascott properties at Citadines Sukhumvit 11 Bangkok and Somerset Sukhumvit Thonglor Bangkok. For a detailed day-by-day itinerary, you can download our PassportChop.com Bangkok Weekend Floating Market & Shopping Getaway Itinerary with Ascott Properties. 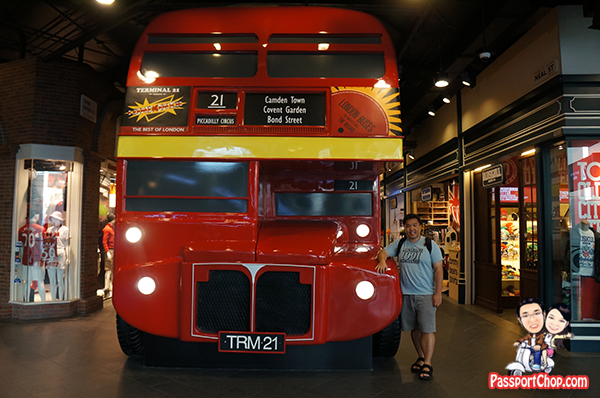 You can also download our other PassportChop.com Bangkok Weekend Shopping Getaway Itinerary. Serviced residences are a good option for travellers to Bangkok – be it business travellers or those travelling with children. 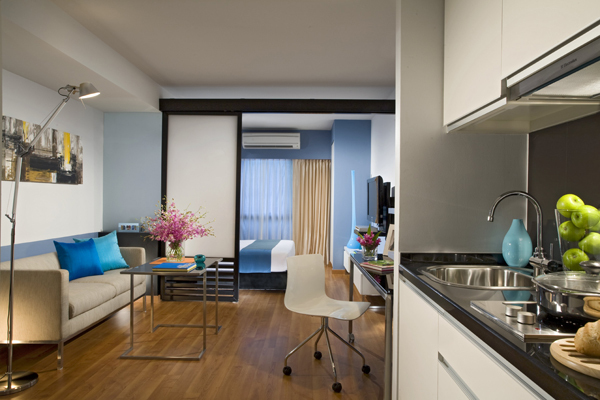 The Ascott residences in Bangkok are fully furnished with modern and stylish fittings. The fully equipped kitchen has a cooker hob and hood, microwave, refrigerator, and glassware, crockery, cutlery and utensils. Also provided are the bedroom linens, bathroom towels and toiletries. Citadines Sukhumvit 11 Bangkok is walking distance to Pacific Place, Phloen Chit Centre and Times Square, shopping at the local and expatriate favourite – Villa Market and a vast array of trendy restaurants, pubs and nightclubs like the Bed Supper Club, Zanzibar and Q-Bar. The BTS Nana Skytrain station is minutes from the residence with Citadines Sukhumvit 11 Bangkok complimentary tuk-tuk service, making it easy to travel throughout the city and live in the comfort of a stylish serviced residence. Somerset Sukhumvit Thonglor Bangkok is located in close proximity to the business districts in both Sukhumvit and Thonglor area. Guests will be able to experience the dynamic culture of Bangkok as the residence is only a short drive from a number of popular shopping, dining and nightlife destinations. To check out the hottest bites, bars, events and celebrity scoop near the Ascott serviced residence of your choice in Bangkok, go to Ascott Living website, specifically the Ascott Living Inside Track which provides a quick travel guide to Bangkok. I have read several just right stuff here. Definitely value bookmarking for revisiting. I surprise how much effort you place to make this sort of magnificent informative web site. I would like to thank you for the efforts you have put in writing this site. I am hoping the same high-grade site post from you in the upcoming also. Actually your creative writing skills has inspired me to get my own site now. Really the blogging is spreading its wings fast. Your write up is a good example of it. 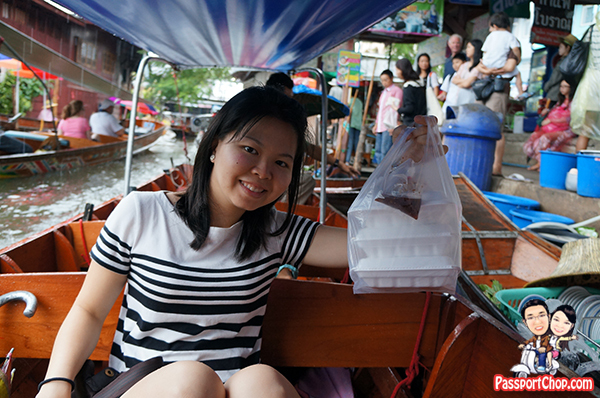 How did you find the floating market? I spent almost two months in BKK and around, but never actually went to see the place. I heard you must be there early in the morning to get the full experience. Hi Juha – I am not a big fan of tours too. However public transport to the floating market and train market is not easy to arrange especially if you dont know Thai – thus I highly recommend that you take a local tour out to these places for convenience; Rat’s tour is a private tour so it is as good as hiring a taxi to these places – there is also no rush; you pay for the number of hours you use her tour services (as well as gasoline and expressway tolls). Oh my goodness! an incredible post dude.